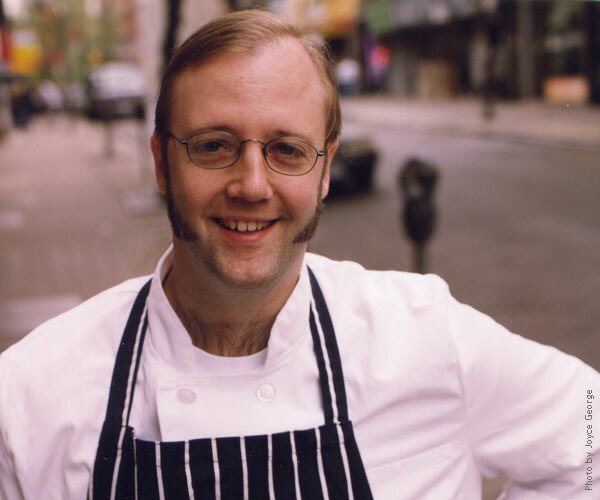 On this episode of the Phorecast podcast we are honored to interview award winning Chef Wylie Dufresne. Trained at the French Culinary Institute in New York City he is today executive chef of New York’s wd-50 restaurant on Manhattan’s Lower East which he opened April 2003. Chef Dufresne is world famous for combining traditional cooking art with molecular gastronomy. Molecular gastronomy is a scientific discipline involving the study of physical and chemical processes that occur in cooking. Mr. Dufresne and his staff have through research and experimentation with, for example, different temperatures, textures, gums and gelatins made delicious, innovative and critically acclaimed dishes such as fried mayonnaise and a foie gras that can be tied into a knot. Many may also recognize Chef Dufresne from the TV show Top Chef where he has appeared as a guest judge several times. At Phorecast we specialize in finding and customizing multidisciplinary teams of innovators and experts into sessions working for your organizations future. We are always looking for the most interesting innovators and we wanted to share some of the people that have really inspired us with their ideas and creativity. The Phorecast podcast enables us do just that! Thanks for listening and we would love to hear your comments, questions and innovative ideas. Amazing guy! Disruptive guys like him are needed in the conservative restaurant business. Now, where can I buy a thermostat-computerized egg boiler? I will be trying for an interview with a current transformer manufacturer this Friday. I need this job.